If you own a company that generates hazardous or industrial waste, it’s crucial that you think about the safest methods of waste management in Atlanta . The most effective methods of industrial waste management are ones that aim to reduce, reuse, and recycle when possible, and that are guaranteed to cause no harm to the environment. Here is a look at the best methods of industrial waste management in your area. Much of the waste that is generated by your company’s production, shipping, and packaging needs is not reusable or compostable, but it is recyclable. The first step in your industrial waste management program is to identify which items can be recycled, and set up recycling bins or dumpsters into which they can be sorted. 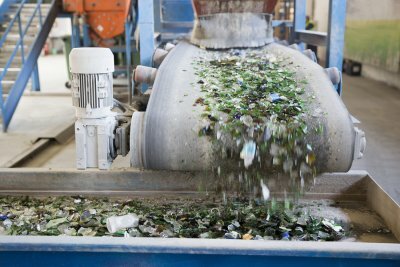 Most recycling centers can handle glass, paper, and plastic recycling. Many can also handle scrap metal recycling, cardboard recycling, food waste recycling, and electronics recycling. You must segregate and separate your recycling from your hazardous waste, compostable waste, and non-hazardous solid waste. Landfills are one of the most common ways to dispose of waste in America. The only waste that should be sent to landfills is that which is non-hazardous, non-recyclable, and non-compostable. When waste is sent to a landfill, it is confined to a small area, compacted when necessary, and then buried in the earth. As the waste decomposes, it releases gases that can be converted to natural gases used for power and fuel. Landfills are cost-efficient and are designed to minimize the harm done to the environment. The composting process turns organic waste into fertilizer that can be used to nourish plants. Most food waste can be composted, and even unsafe organic items can be turned into safe composting. You can compost food waste, leaves, newspaper, very small pieces of cardboard, straw, and sawdust. Compost is then added to soil to provide nutrients and encourage growth. Composting is one of the most effective ways to reuse and recycle waste. If you’re concerned about the cost of your company’s waste disposal in Atlanta , you should ask your waste management company about tracking your company’s waste. A waste analytics program allows you to determine exactly where and how you are generating the most waste, and thus paying the most for trash pickup, junk removal, and waste disposal. 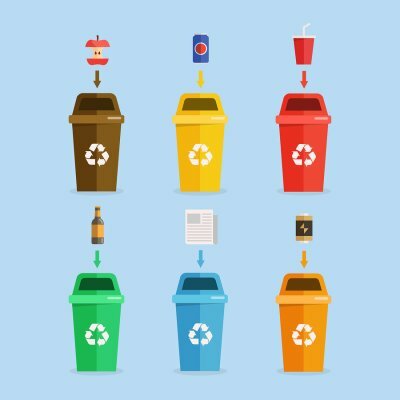 Tracking your company’s waste will also allow you to identify sustainable ways to reduce your waste production, reuse items when possible, and recycle items when possible. When you know which waste items are recyclable, you can set up a recycling program through your local recycling center. Make sure that you place recycling bins throughout your building, and inform all employees of key recycling facts. The more items that you are recycling, the less will have to be hauled away for waste disposal in a landfill. Tracking your company’s waste will also enable you to set up a more efficient trash pickup and garbage disposal schedule. You can save money on waste management and waste disposal costs by reducing the number of times you need trash pickup and junk removal each month. If you have recently implemented a recycling program for your company, you may be interested in learning more about paper recycling in Atlanta . Any paper waste that your company generates can be collected in recycling bins, picked up by your waste management company during your regular trash pickup, and sent to your local recycling center. This paper is then sorted, cleaned, and graded at the recycling center, and is then sent to a paper mill. Watch this video to learn more about the paper recycling process. After recyclable paper is sent to a paper mill, it is turned into pulp, and any non-recyclable elements, such as staples, are removed. It may then be bleached. 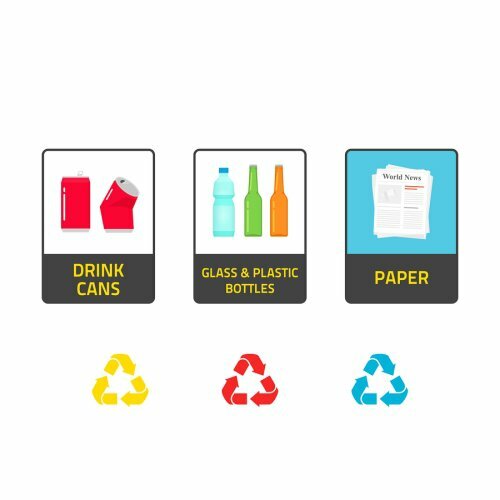 Recycled paper may be turned back into cardboard, paper, glass, cans, food and drink cartons, plastic bottles, or clear sacks. If you’re interested in making your restaurant greener, you should look into improving your waste management, recycling, and waste disposal in Atlanta . A comprehensive and effective waste management program is key to ensuring that you save money and protect the environment. Here are some ways that you can improve the waste management strategies at your restaurant. The best and most sustainable waste management program is one that minimizes your environmental impact while reducing your waste management and waste disposal costs. Your waste management company should focus on reducing, reusing, and recycling whenever possible. You can not only reduce the cost of your waste disposal, but also reduce the amount of waste that is generated in the first place. One of the ways that you can do this is by implementing a zero waste initiative. A zero waste initiative is a commitment to reduce the amount of waste that is sent to a landfill for waste disposal. This is achieved by investing in single-stream recycling and organics recycling. Recycling centers that offer single-stream recycling do not require companies to sort their recyclables into separate recycling bins or dumpsters before pickup. Instead, all recyclables can be put into the same recycling bin or dumpster, and they are then picked up by your waste management company and sorted at the recycling center. This makes it easier for employees and guests to participate in your restaurant’s recycling program, and it also saves the company money and labor trash removal, junk removal, and waste disposal. One of the most voluminous types of waste that restaurants produce is organic waste, or food waste. Rather than throwing food and food byproducts away to be sent to a landfill, you can participate in your recycling center’s organics recycling program. Organic waste will be composted and then used as fertilizer and soil nutrients. Food waste that can be composted includes fruits, vegetables, meat, poultry, seafood, animal bones, shells, bakery items, eggs, paper egg cartons, milk, juice, paper juice cartons, plants, cut flowers, coffee grounds, coffee filters, tea bags, paper products, ice cream, yogurt, and cottage cheese. Offices typically generate quite a bit of waste in Atlanta , from paper, plastics, and glass, to food waste and electronics waste. Your local waste management company can help you develop and implement a sustainable waste management program that allows you to reduce, reuse, and recycle throughout the office. Here are some great ways that you can reduce waste at your office. You can quickly reduce the amount of waste that is generated throughout your office by reducing your reliance on paper products. Encourage employees to share information electronically, and resist printing out materials for your use or to convey information. You can also stop using cover sheets on faxes, print documents on both sides of the paper, use the copy machine less often, eliminate unnecessary forms or redesign them to use less paper, and post announcements electronically or on a central bulletin board. You can also use fewer paper products in your kitchens and bathrooms, and instead use washable, reusable products. You can reuse valuable materials, like paper, throughout the office. Paper only has printing or writing on one side can be reused as scratch paper. File folders, internal envelopes, binders, packaging materials, and other office supplies can be shared and reused throughout the office. You can also donate items that can’t be used again within the office to other charities or organizations so that they won’t end up as waste. Your local recycling center can provide you with valuable recycling facts and can inform you as to which items are recyclable and compostable. Most recycling centers can process paper recycling, glass recycling, cardboard recycling, and plastic recycling. Some can also manage scrap metal recycling and electronics recycling. Do not dump or throw away any office item that can be safely recycled. 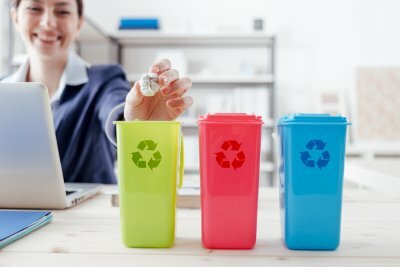 Place recycling bins throughout the office, and arrange for your waste management company to pick up your recycling when they do your trash pickup. Most food waste can also be composted and used for fertilizer. Find out if your office generates food waste that is compostable, and ask your recycling center or waste management company about composting. Recycling is an innovative process that transforms used and discarded objects into useful materials. This video will provide you with a behind the scenes look at what happens to your recycled materials after they leave your home or office. After a recycling truck collects your bin, it will bring the materials to a sorting facility. Next, paper, plastics, and glass are separated by type. If you plan to recycle near Atlanta, it is important to learn about how recyclables should be sorted before they are picked up. A thorough waste disposal plan can easily integrate recycling into your daily business operations. If you are wondering about how you can get the most out of your recycling, do not hesitate to get ahold of a waste disposal company in your area. Your team can help you cut back on your waste while also saving you money. Streamlining your commercial waste management practices can be a highly effective strategy for improving the profitability and sustainability of your business. With services from a company that specializes in waste management and recycling serving Atlanta , you will be able to determine which disposal methods will be best for your business. To ensure that your waste management provides your business with the best functionality, you will want to incorporate several essential elements. Dumpsters, trash cans, and recycling bins are three essential commercial waste management tools. Trash cans are among the most important elements of a commercial waste management plan. Strategically placed trash cans can help you make sure that your employees and clients are throwing away their trash in the proper containers. 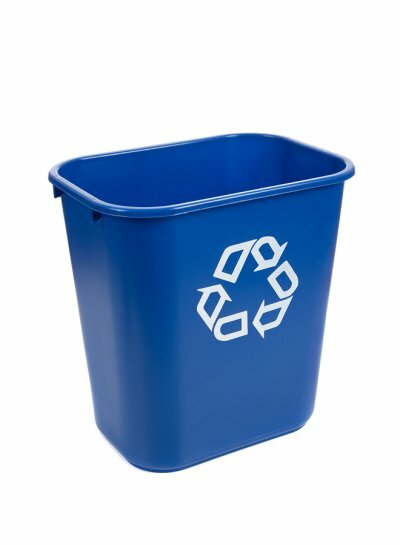 Along with placing plenty of trash cans around your facility, you may also want to include recycling bins in your plan. At the end of the business day, a dumpster can be used to collect and house bulk amounts waste until it can be picked up. Sustainability is a key concern for many of today’s business. When you are researching sustainable practices for your company, you may want to take the time to gather information about waste management and recycling. By updating your trash removal practices with help from a company offering recycling bins in Atlanta , you will feel great knowing that your business is operating in a sustainable and environmentally friendly fashion. There are several ways that recycling can boost your sustainability. 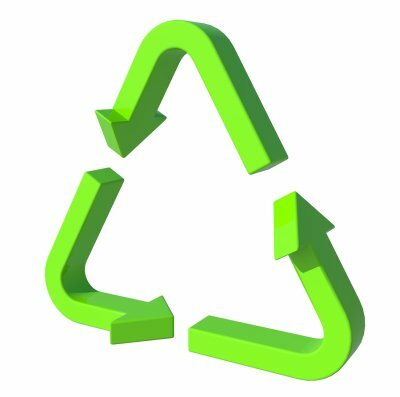 A recycled item will be reused for a new purpose, thereby helping to reduce the carbon emissions and consumption of natural resources that are associated with creating products from all new materials. Recycling can also cut back on the amount of debris and waste that you are tossing in your dumpster. 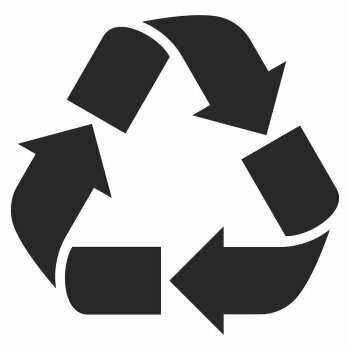 Implementing a recycling program can also place sustainability at the forefront of your business identity. A recycling center can provide you with additional information about the sustainable benefits of recycling.